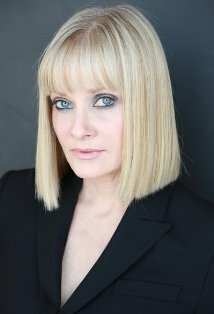 Barbara Freakin’ Crampton. Want to talk about a Horror Queen? An icon of horror? Well, that’s Barbara Crampton. How do you feel about horror movies role in popular culture? The perspective of the viewer, or the questioning of such, is an important aspect of filmmaking and specifically in the horror genre. Most often, it is the life and death questions that are asked. Grand and every day themes are examined. Whose life is more important, who’s expendable? What’s tolerable or acceptable for money, power, or your own survival’s sake? ALIEN, CANNIBAL HOLOCAUST and even I dare say RE-ANIMATOR explore these ideas in huge ways while making them approachable and personal to an audience. These are themes in culture which people will forever be asking themselves over and over again – perhaps to be reminded of what’s honest, true and important. Bullying and revenge as depicted in CARRIE, I SPIT ON YOUR GRAVE and the new AMERICAN MARY are smaller themes but no less important to examine during one’s lifetime. Dying is looked at, prodded and poked nowhere more than in a horror filmmaker’s deep heart and occasionally twisted mind. Thank God, for that because as an audience we can experience it a bit, potentially being less frightened by our own death. Potentially, we can exercise some of the demons which lie in our own hearts and soften our very souls! Horror movies have the ability to purge our collective thoughts and I can honestly say without a doubt, horror movie lovers are some of the most thoughtful and kind people I have ever encountered! TEXAS CHAINSAW MASSACRE but not necessarily for the reasons above. On a pure visceral level it scared the crap out of me when I first saw it! To feel that much excitement in your body is like going on a thrill ride while seated. He said, “Everything.” So I read books on various subjects; philosophy to finance and gardening. Find out or invent what is smart or interesting about your character, even if it’s not on the page. Frequently females in horror movies are the victims (thanks to that we get to cry, scream and carry on…what fun we are having). But to make your character have sustainable weight, interest and importance enduringly, you must find a way to make your role as full bodied as possible. Where is the love, the humor? What is the character’s flaw(s) which makes them fall? What traits can YOU bring to the part that are not being played by another actor or character? Your commandment should be: Thou shall not bore!… while working in the confines of telling the writer and director’s story. Morgan Freeman. I see the world in him. As an actor he is an hero, best friend, guide, protector, authoritarian who is generous, honest and dignified. Even though most would choose RE-ANIMATOR over FROM BEYOND as a film, I most enjoyed playing Katherine in FROM BEYOND. The internal travels I crossed while playing her – buttoned up psychiatrist, curious newbie, sexual goddess and failed savior – remain unparalleled in my career. The next one!….There are three I am attached to in various stages of development. I’ve done a few cameos and one short that I think is terrific. Of course, YOU’RE NEXT opens August 23rd. It’s a very good film. I hope you like it. Not being present enough. I don’t want at the end of my life to ask what just happened? This entry was posted on July 28, 2013 by 850music in Posts and tagged Horror Queen.